The TV box uses the android version of 7.1.2 and is weighing 4.09 Oz (116 g). The box is available only in black color. It has a storage capacity of 8GB and supports the RAM of 1GB. The storage capacity can be extended to 64GB. The TV box has the measurement of 90*90*20 mm; the small size helps in saving the space and is quite easy to carry. 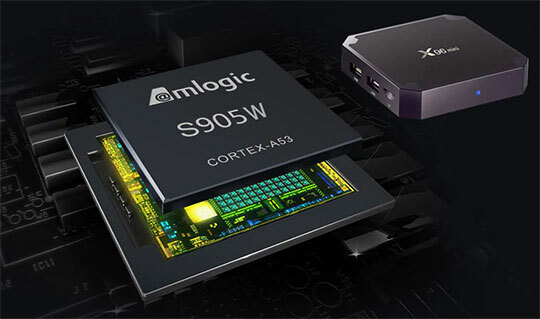 The configuration of CPU attached is Amlogic S905X Quad Core ARM Cortex A53 @2GHz, and the respective GPU is Penta-core Mali-450MP GPU @750MHz. The system uses the memory of 64bit and supports 8GB ROM. 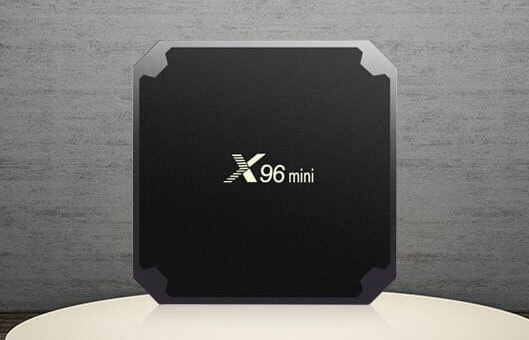 The X96 Mini Android TV Box supports Wi-Fi with a configuration of 802.11b/g/n. But the box doesn’t support Bluetooth and 3G functions. Though manufacturer supports the warranty of up to 1 year; but the company gives its support for the lifetime. Once ordered they are quite quick to deliver the requisite box to your doorstep. The TV box supports all kind of trendy applications such as YouTube, Netflix, Hulu, various video websites, etc. The box can also be used for various chat options like Skype video calls, Facebook calls, Twitter, MSN, etc. And all support wireless keyboard and mouse. The respective applications to be installed can be downloaded through the android store and through Amazon applications etc. The box is equipped with various circuits that can protect it from the connection with a bad charger. 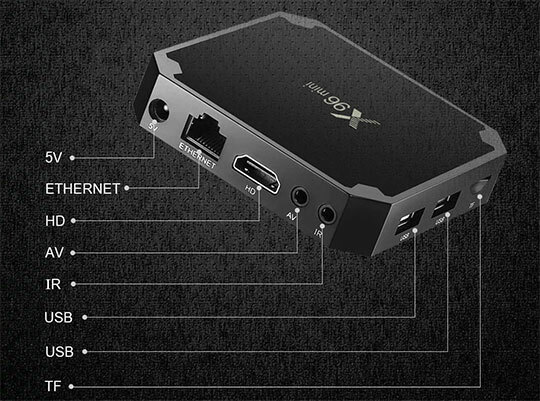 The accessories that are included with X96 Mini Android TV Box are one power adapter, wireless mouse and keyboard wireless, HDMI cable, TV box and a user manual. The best part about this product is you can use the same with different plugs available in various countries. The box supports 3D Games and videos, Miracast, ISO files, and NTSC. It also understands the Multilanguage like German, French, Italian, Germany, Spanish, etc. It doesn’t support DVDs, and any external subtitles, but supports HDMI cable of 2.0 which is considered as one of the fastest ways to connect your TV to watch videos. There is an LED indicator that is attached to the Box which resembles the working of same. If it is in standby, then the light is red and once it starts working it changes to blue. The box supports almost all kinds of formats of audio, video and photos. 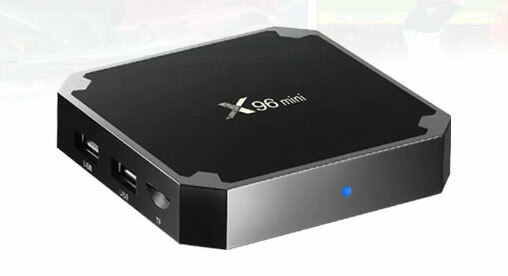 The X96 Mini Android TV Box with such a unique functionality is a necessity of modern times. As at times, no one wants to watch the videos, photos on their laptop and especially when you have the whole family sitting at a place. And if you have a TV box that can be configured easily and can read all the input format, it will double your entertainment. You may like this: The LeEco Le S3 4G Phablet Feature Review – All You Wish to Know. Undoubtedly TV box is a necessity, but to choose the best amongst many should be your sole priority. The X96 Mini Android TV Box is a low-cost product that offers superb performance and features at such an attractive price. The company looks forward to retention of the clients, and that is why ready to provide the lifetime support to them. They have customers worldwide stretched in various lengths and breadth of the globe. Their box is also quite adaptable to the accessories that are locally made and can be attached to the box for the better use. Look forward to the read the user manual that arrives with the package so that you can make the best use of the box. The manual tells you about various parts intact in the respective TV box and how you can operate the box with ease. Do look forward to having the same installed on your TV, and explore the world of entertainment in a way like never before. You can buy this TV box from GearBest at a price of under $25.00. Undoubtedly TV box is a necessity, but to choose the best amongst many should be your sole priority. The X96 Mini Android TV Box is a low-cost product that offers superb performance and features at such an attractive price. 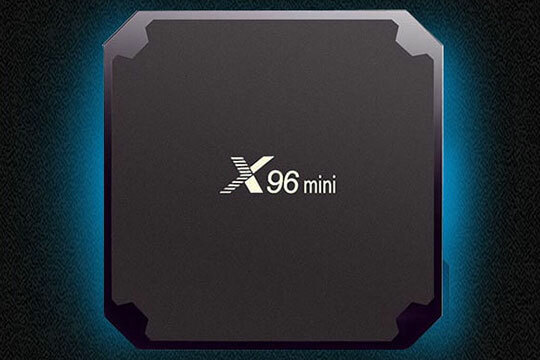 Can I buy a subscription for the X96 box and are there any recommendations? Hello sir, can I use this device on 3d content ( anaglyph )? I have one, and when I play the movie on Kodi is SBS and I can’t find the option to change the display image to anaglyph like power DVD program does for example. Thanks a lot. My DROID settings are missing (can’t adjust screen size) tried dumping apps I installed but it’s not their box came completely empty? I can adjust on Kodi but not on the home page. How do I use my Owen mouse for my X96 mini? Can KODI be put on this box? What WiFi channel does this Android Box use? I have this device, my net speed also well more than 15 MB but live channel still buffering. I have a Sony Bravia smart tv. Any solution? Any idea to delete some programme or download other IPTV services? Please advise me. Just bought one but doesn’t work. The box doesn’t turn on. I am trying to find the favorite lists of channels I am adding. But I can’t see them anywhere please help! I was offered a box X96 Mini but there is no user manual, can you get me one or tell me where I can find one, thank you. It is especially to know how to put chains in favorites and reorganize the order of the chains, thank you. I HAVE A PROBLEM WITH MY X96 MINI I DID A RESET AND LOST ALL MY MOVIE ADD-ONS AND DONT KNOW HOW TO REINSTALL THEM PLS HELP JUST BOUGHT IT AND DIDNT WORK RIGHT SO I THOUGHT RESTORE WOULD PUT IT BACK TO THE WAY I GOT BUT IT DIDNT WORK PLS EMAIL ASAP WITH ANY HELP THANK YOU IN ADVANCE, SIR!!!!! Hello Souvik. I bought an X96 mini and it’s on the blink. You mentioned that the manufacturer offers a 1-year warranty and a lifetime of support, but I can’t for the life of me figure out how/who to contact. Any info? Thanks! 1. Check the warranty documents you have received along with the product. You should find a contact information of the manufacturer. 2. Or, you can contact the support team from where you have purchased the product. They will surely guide you in the right direction. I have x96 mini tv box and enjoyed for one month. But now it is not connecting to my tv and frequently restarting help me and solve my problem. You should contact the support team of the manufacturer. The X96 Mini is very poorly designed. There is no proper way to go Fast Forward or Backward with the remote when playing videos – either via USB or streaming (e.g. in Netflix). Also, episode selections in Netflix are very cumbersome and frustrating. It can be accomplished by switching over to the mouse option, and even then it is extremely klutzy. Only when attaching a proper mouse to the unit, some of these functions can be performed. There is no soundtrack when playing MP4 files via the USB port, although there is sound when playing AVI or MKV files. It is a cheap unit, and indeed all you get is cheap. Don’t waste your money on this p.o.s. If you need a TV box with voice remote control you can try the A95X PRO. Why doesn’t this device work with PlayStation Vue? I am looking for a way to Download movies to a device using Google Play Movies and then watch them on my TV. I live in the mountains and streaming over satellite internet is a problem. But, I can download to my phone and watch them, but cannot play on my TV. When I try to cast my screen, to tries to stream them. I have a Pixelbook and can download them to that, but the Chrome OS does not support HDMI HDCP, so it will only play on the laptop. Has anyone saved to the box and played from there? I live in Georgia, Tbilisi. I want this device(smart TV box mini x96 16GB) but I, unfortunately, don’t have any credit card. How can I transfer this money to you? We are not a seller of this product. We are only publishing news and review about this product. X96 mini 7.1.2 doesn’t work with PlayStation Vue app. I bought 5 units and now can’t use them or return them. The problem may be in the PlayStation Vue app for Android. Till now, the app is not up to the mark. You can check all the app reviews here. How much data is it consuming per month for tv channels like movies and all? If video quality is set to “Low” then it will consume 0.3 GB per hour. If video quality is set to “Medium/SD” then it will consume 0.7 GB per hour. If video quality is set to “High/HD/Ultra HD” then it will consume up to 3 GB per hour for HD and 7 GB per hour for Ultra HD. Connect home theaters with RCA cable then get low sound. How to connect a microphone to do voice search? You can try A95X PRO Android TV Box. This is voice search enabled. I bought the X96 Mini a couple of months ago, absolute rubbish. It won’t play any of the catch-up stations even though I have installed the apps, the search just goes round and round. It gets very hot when I’m playing off a USB and often switches itself off. The internet only connects occasionally and when it does nothing works off it anyway. I’m thinking of dropping it in the bin. Do you have a slow internet connection? The “play error” generally comes when the internet speed is not adequate. I have connected with WiFi and Ethernet cable and no difference. It used to work but last month nothing. My device is very new and it keeps rebooting frequently. You can try to update the firmware (if available). This may fix the issue. Wireless combo keyboard and mouse work very well with the device. This technology just isn’t ready for prime time.you spend 30 min every time you want to watch tv trying to find a streaming service that’s working. You lose audio daily unless you’ve been to school on how this works it’s useless. Every day I get frustrated to unplug it and put in a DVD. Don’t waste your money. Buy an antenna. Can you download tv shows or movies to an SD card or flash drive? I did not get any kind of manual with my unit other than how to connect it to the tv and internet. Yes, it comes with USB ports but u need to download device driver to use the attached device. I have purchased 96X box. it works fine but its remote does not work well. It’s very difficult to enter a search using remote control. I have purchased an X96 Mini off of a friend and I’m having an issue. I can explain more about the issue. If anyone can help me, please. What kind of issue are you getting? You don’t need this device if all these apps on the tv box are available for free on the internet. Be smart people. Can I connect a USB camera to this X96 tv box so that I can use the camera for Skype, Messenger etc.? This tv box comes with 2 USB ports. So you can connect your USB device directly to it. Hi! I bought this device to work with Skype. Then I bought 2 Logitech cameras both with built-in mic. Video works but the mic doesn’t. What is the problem? Can you help me out?